One of our most perceptive China experts, James Mann has penned a vital wake-up call to all who are ignorant of America’s true relationship with the Asian giant. 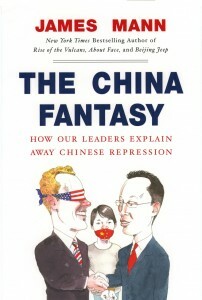 Our leaders may posit a China drawn to increasing liberalization through the power of the free market, but Mann asks us to consider a very real alternative: What if China’s economy continues to expand but its government remains as dismissive of democracy and human rights as it is now? Calling for an end to the current policy of overlooking China’s abuses for the sake of business opportunities, Mann presents a must-read book for anyone interested in global affairs.